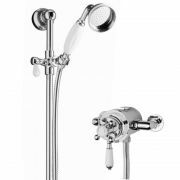 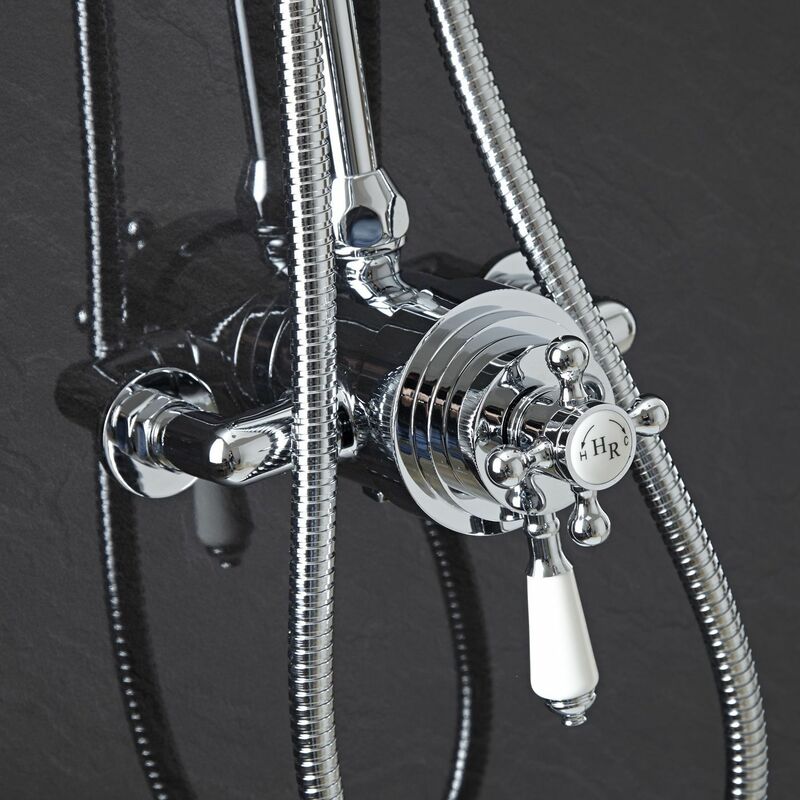 The Hudson Reed Traditional Grand Rigid Riser Kit with Dual Thermostatic Shower Valve complements the appearance of any bathroom furnished in traditional style. 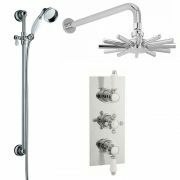 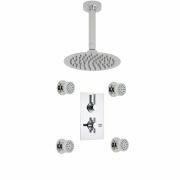 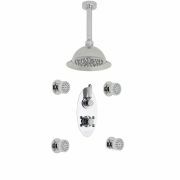 The ceramic and chrome materials used for the single function exposed shower valve match the chrome exposed rigid riser kit. 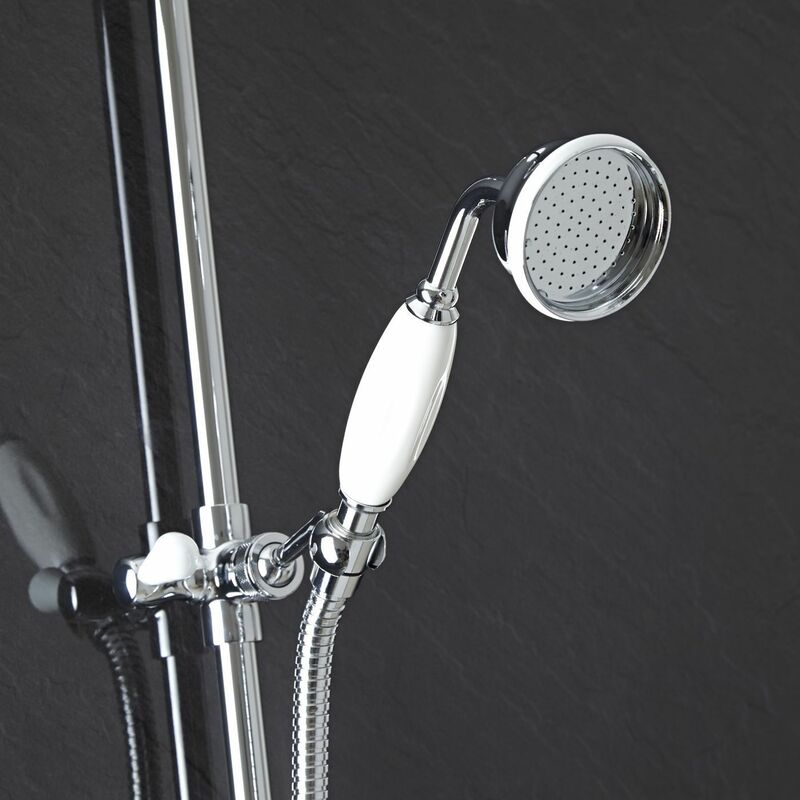 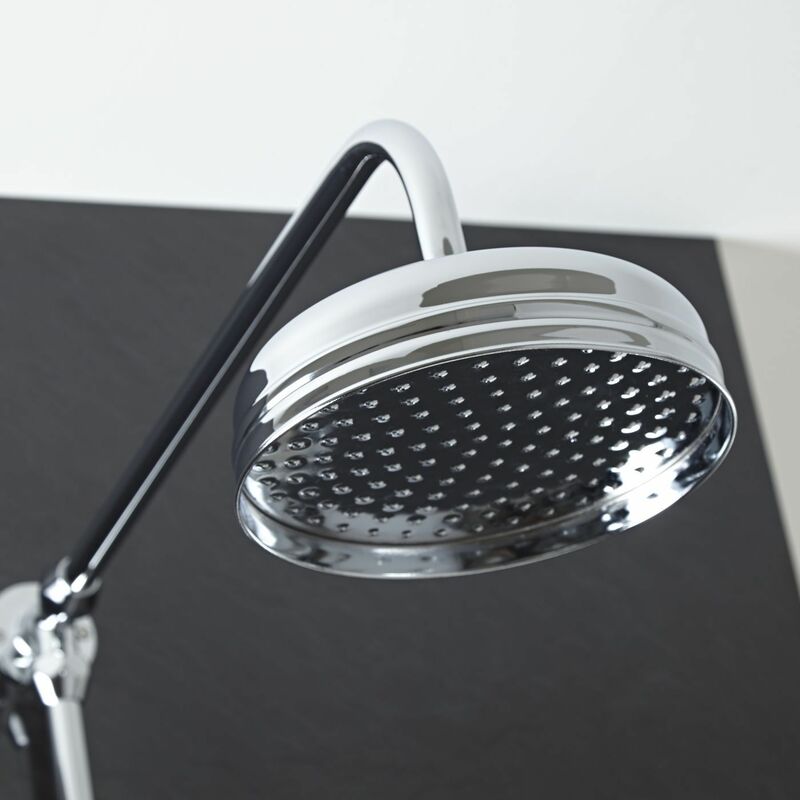 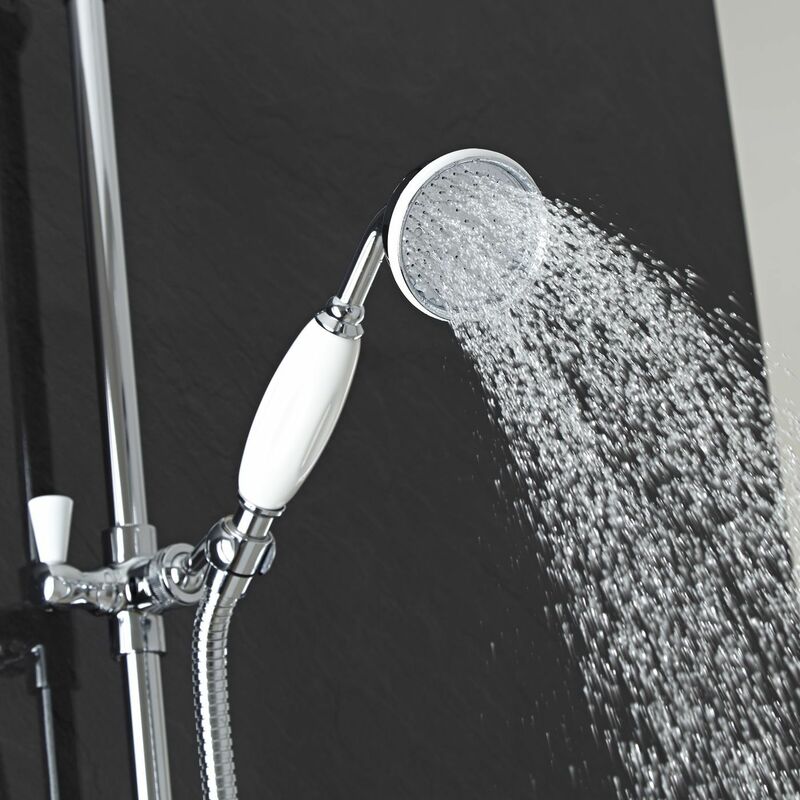 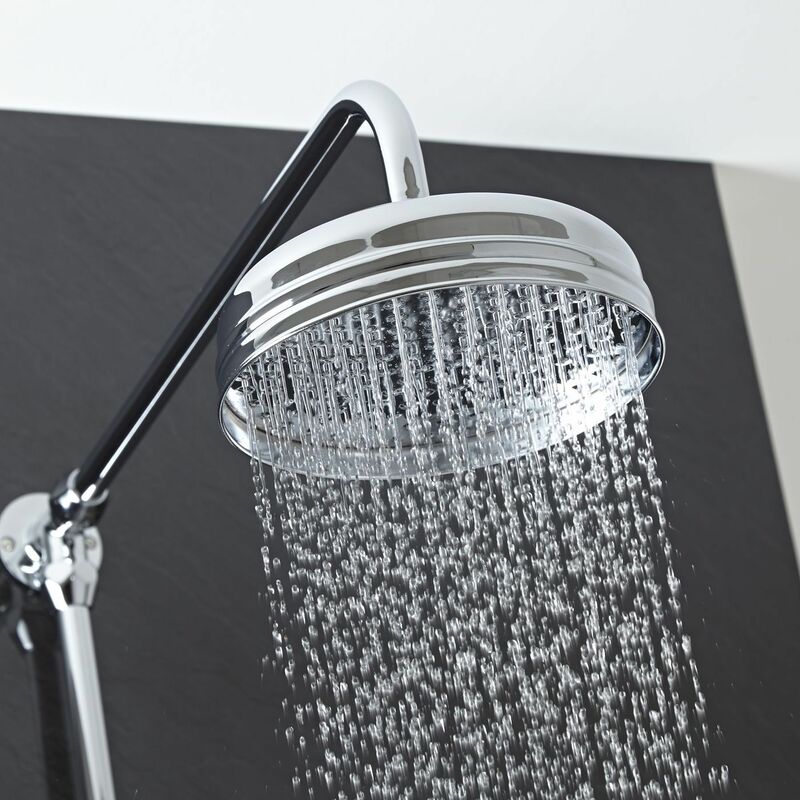 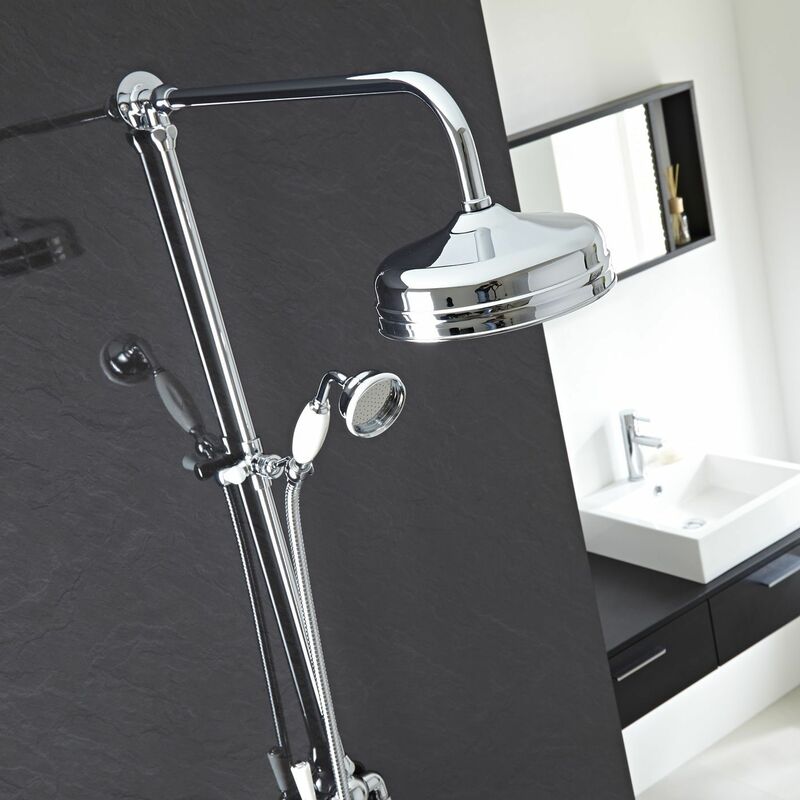 An attractive period-style control lever and tap regulate the temperature and the rate of flow of water through the shower rose. 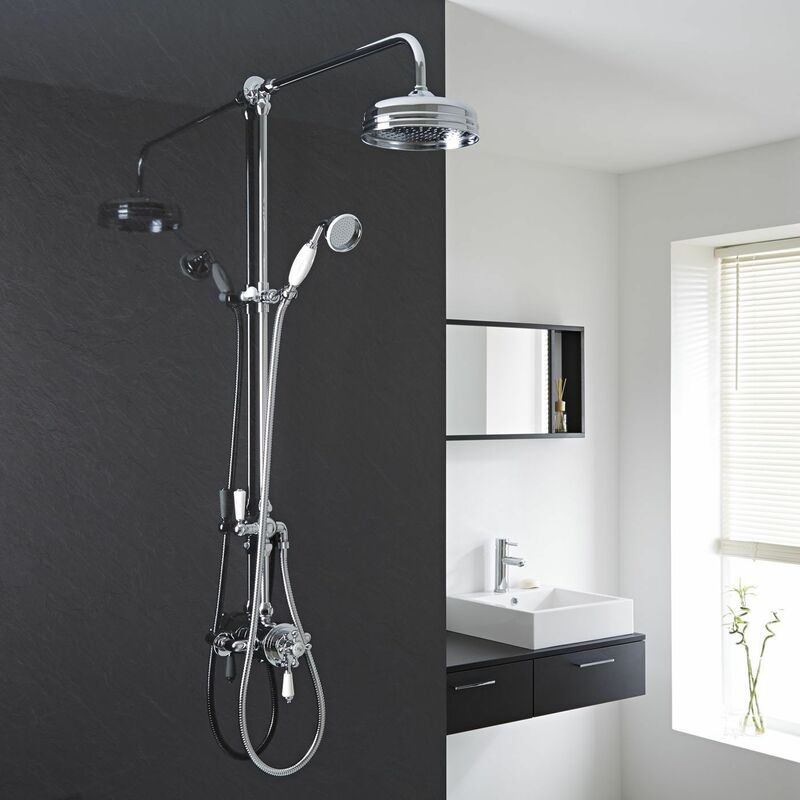 The Grand Rigid Riser allows the luxury of a large shower rose for showering, combined with the flexibility of a shower head. 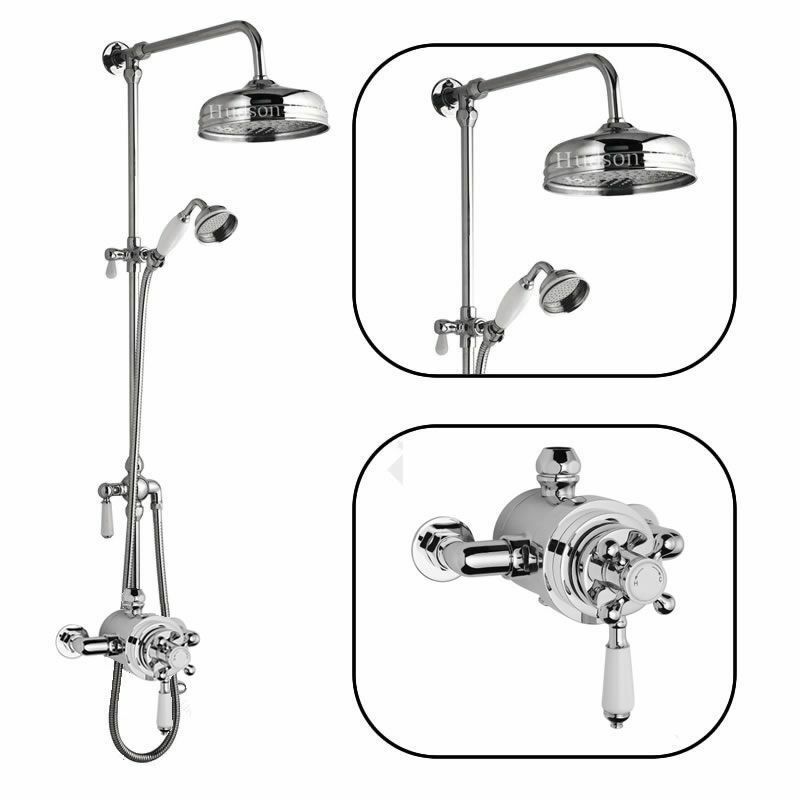 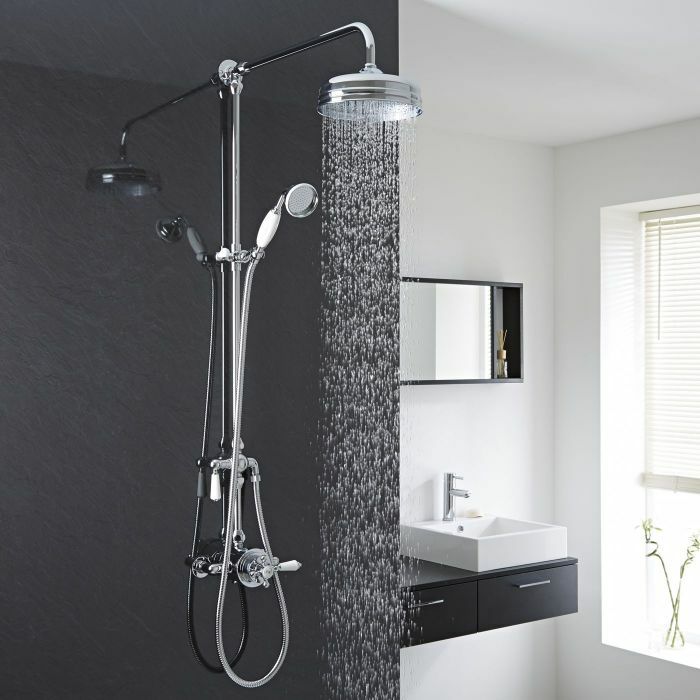 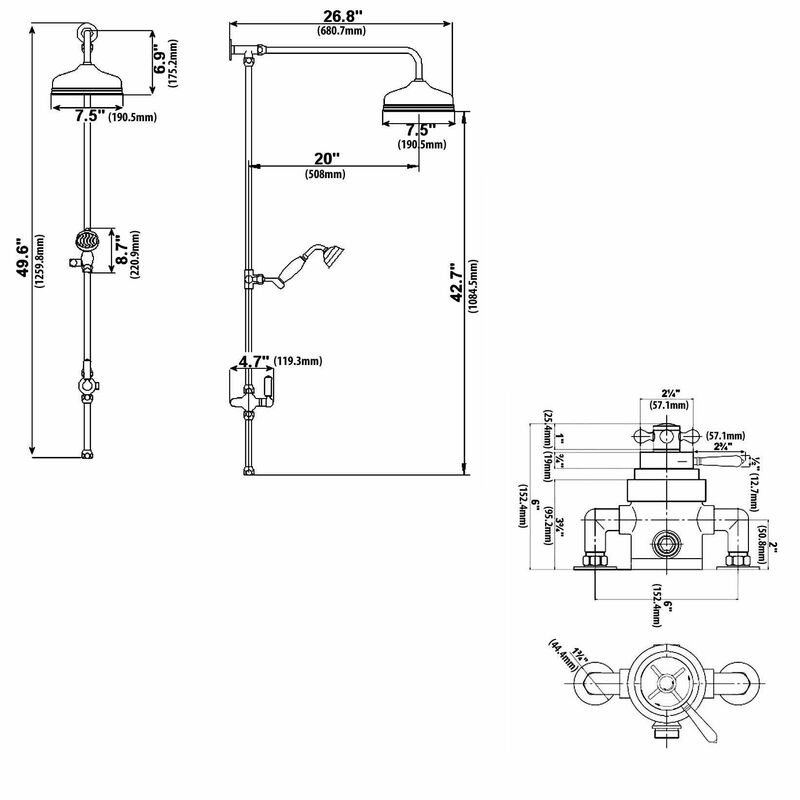 Dimensions: (Shower Valve Exposed W x D): 6" x 6"
Dimensions (Grand Rigid Riser Kit): Height 49.6"